One of the primary problems you, as a community developer, face with using the traditional real estate industry is that it is not built to move at the speed you need. Your world revolves around weekly sales. Our world revolves around weekly sales also. Your real estate agent, on the other hand, is more comfortable dealing with time spans that run into months and years. Right there, you can see that there is going to be a problem. Open Door Auctions will take a house – any house – and sell it in two weeks. No, not at a cut rate price but at the price that the open market is willing to pay. And, of course, since we do not operate in an absolute auction format, feel free to reject all bids if you don”t find one to your liking. You”ll get no flak from us. 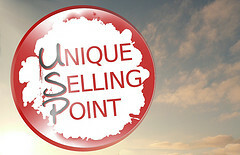 At this point, we have to ask, are you (or your agent) using the Multiple Listing Service (MLS)? If so, are you using it the right way? We”re here to tell you that there is no better tool than this “stock market for real estate” to take unsold homes and reverse their fate. Without getting too obsessed with nuts and bolts, most agents list your model with MLS and leave it there to collect dust. Open Door Auctions founder, Jason Hartman, a 20 year veteran of the real estate business, realized that it wasn”t written in stone that a property be allowed to slide slowly toward the bottom of the listings and into obscurity. He realized there was a better way and here it is. The initial listing price goes in at whatever you want. We won”t haggle with you or try to convince you we know more about your business than you. During the first 24 hours, the house can be expected to generate a certain amount of interest. People will be reading through the details, looking at the pictures, and wondering where it is so they can go take a look at it. Here”s where we make a hard break with the old casino online way of selling property. There are no showings or open houses! Not yet anyway. Don”t freak out. There is a method to our madness. Now we certainly aren”t going to stand at the doorway and try to stop people from driving past. Of course they can do that but there is no organized opportunity for interested buyers to see inside the model until the day of the auction. The concept here is “scarcity” and how to generate it in the minds and hearts of buyers. The only open house is on the day of the auction when everyone can take their time, inspect the place at their leisure, and drop off a sealed bid. Let”s talk about the concept of scarcity for a moment when it comes to home sales. Do you think it”s an “accident” when Apple runs out of the latest electronic gadget and you have to wait a few weeks to get yours? It”s not. They know exactly what the demand is but, by limiting supply, the desire to possess the latest iteration of iPad, or whatever is next on the assembly line, soars to a fever pitch. Applying the same logic to your business, we decided to allow only one open house. Back to the MLS. After a day or so at the initial price, there is a very good chance your listing will be dropping down the page as newer listings come online. Sorry, that”s just the way it goes. We don”t have the kind of pull to change that fact of life. But you can change the price on the property, which the database interprets as a new listing and puts it back at the top of the page. This is why we have adopted the strategy of re-pricing the listing every few days over the entire course of the two week sales process. Not only does it put your house back at the top of the page, but also exposes it to a whole new set of buyers who might be searching for a different price point. Keep in mind that even if their initial price point might be lower than you want to take, if they like the place enough, and are afraid it might slip away to another buyer, they very well might submit a bid higher than what they had originally intended. The points we”ve discussed here today are only the tip of the iceberg. Developers interested in moving inventory faster and more efficiently than the old-fashioned real estate business can hope to match, should take the time to browse our website. We think you”re going to like what you find.